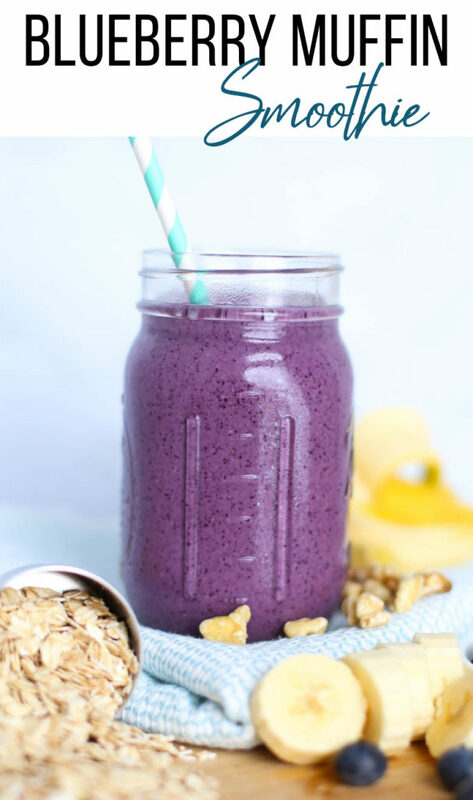 With sweet blueberries, banana, rolled oats, a few walnuts, and milk, the easy, healthy Blueberry Muffin Smoothie blends to a beautiful shade of purple and makes kids and adults alike happy. 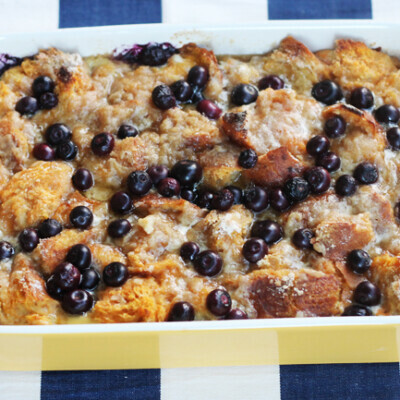 After all, who doesn’t love a Blueberry Muffin?! Psst…it’s also packed to the brim with gluten-free, dairy-free nutrition! Seriously. 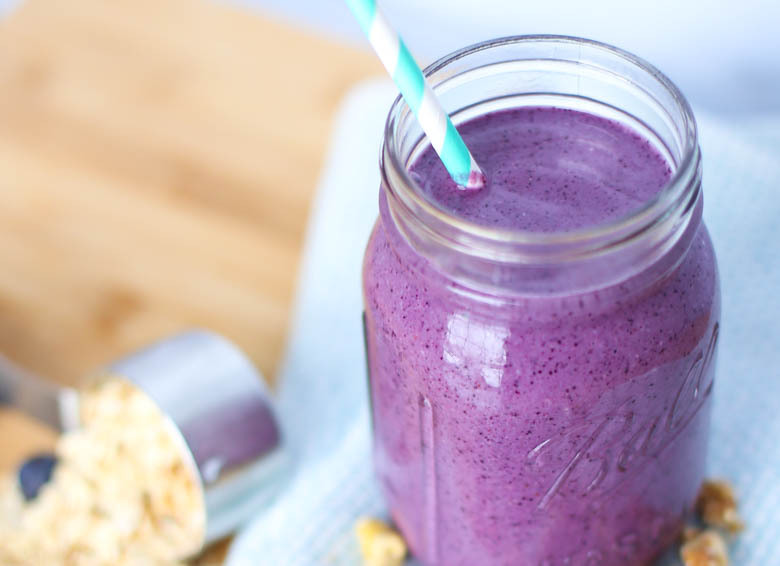 Today’s Blueberry Muffin Smoothie is SO good for you. 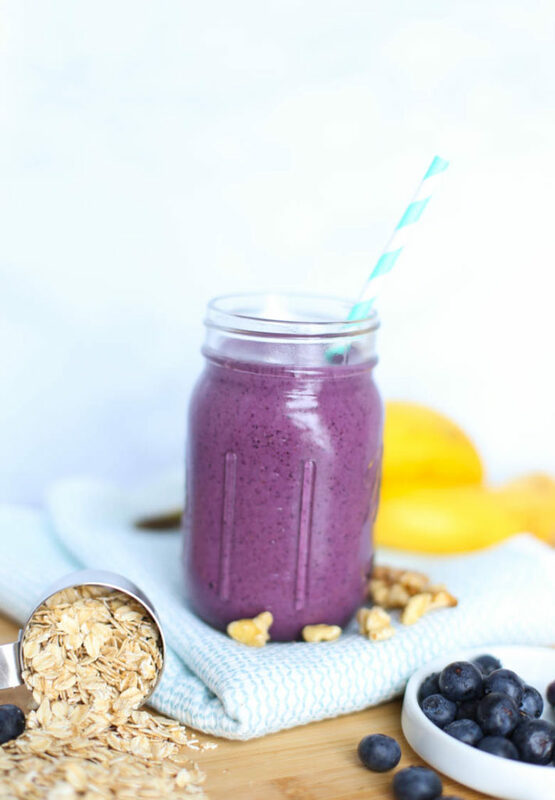 You’ve got your superfood blueberries, of course, but it also comes with protein-and-fiber-rich, cholesterol-lowering oats and raw walnuts, which get blended smooth so you hardly notice them. It’s more than just a healthy way to start your day, though. 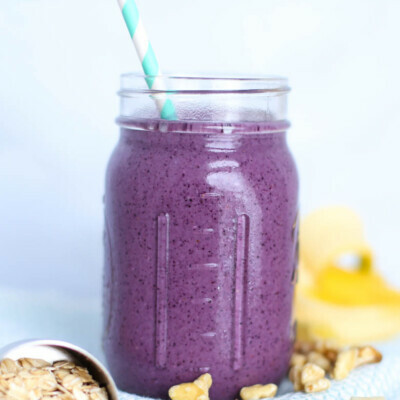 It’s also one of our most popular smoothie recipes with kids! A poll between various smoothie flavors was taken of our own children and some neighbor kids (ranging from ages 8-14) and this one rose to the top as the fave. 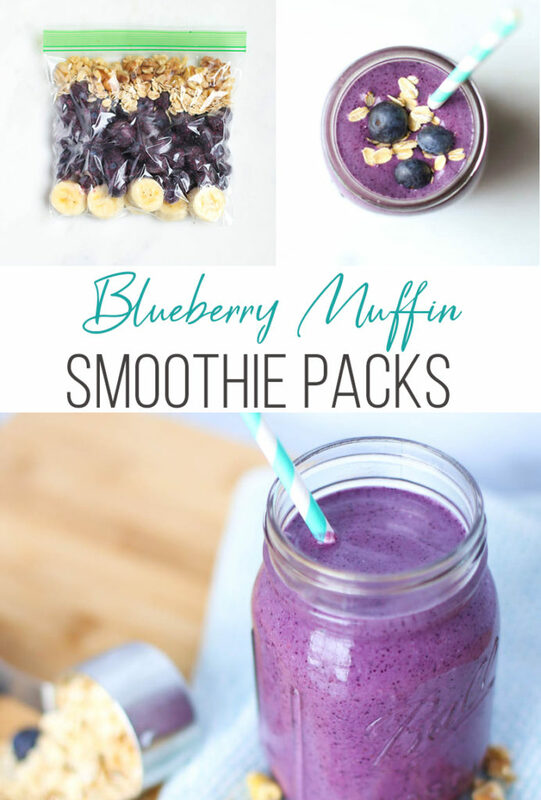 That’s because we’ve taken our blueberry smoothie game to the next level by adding basic ingredients of the much loved Blueberry Muffin itself. 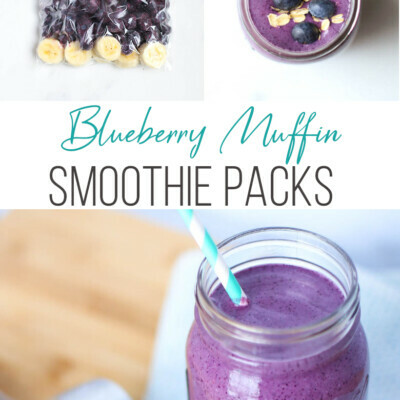 This Blueberry Muffin Smoothie is part of our series of 7 easy, healthy smoothie recipes that you can make ahead and freeze as smoothie packs. Did you have a chance to try the other smoothies from our series yet? They are SOOO good and good for you. Tastes good! Yes, these smoothies are SUPER HEALTHY but we wanted to make sure they didn’t taste like weeds from the backyard. Includes only simple real food ingredients that you can find in just about any grocery store. Makes a single-serving (approx. 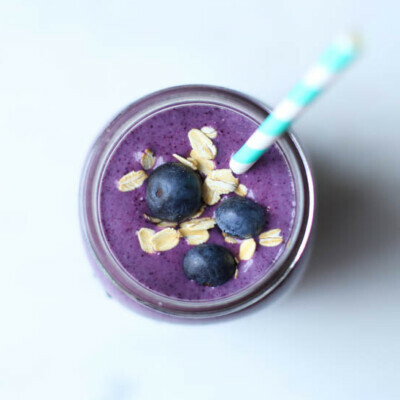 16 ounce) smoothie, which can work as a meal replacement. Or, divide it up among family members. 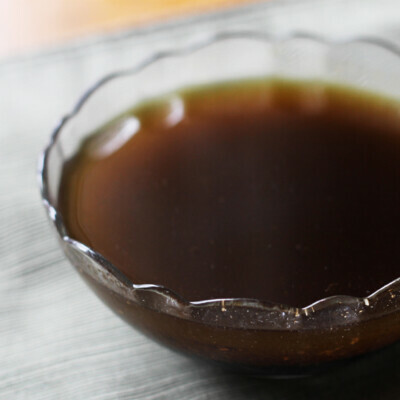 Includes fruits and/or vegetables for an easy, delicious way to get more nutrition. 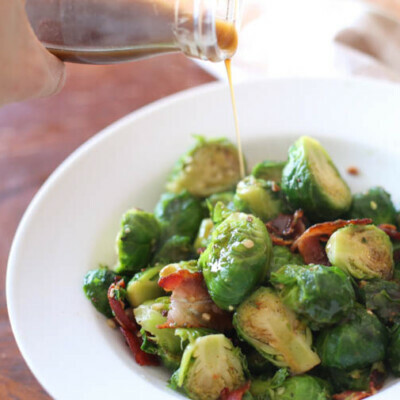 Includes at least one source of protein and healthy fats to keep you full and satisfied. 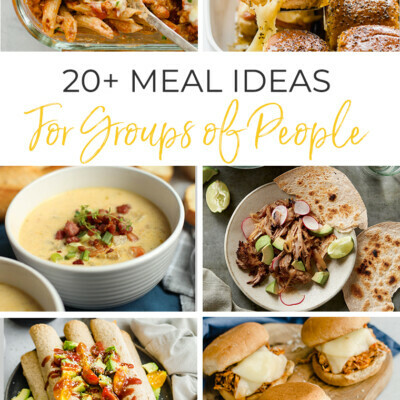 Includes freezer smoothie pack instructions so you can prep several of them ahead of time to have on hand. Since we are tongue and cheek, “freezer cooking evangelists”, it shouldn’t be a surprise that we have mastered the art of making smoothie packs in bulk and freezing them. This smoothie-making hack will save you a lot of time and money in the long run. We also find that we are much more likely to make a smoothie when the ingredients are already pulled together and all we have to do is add liquid. To make this recipe a smoothie pack, simply follow our freezing instructions given below in the recipe. 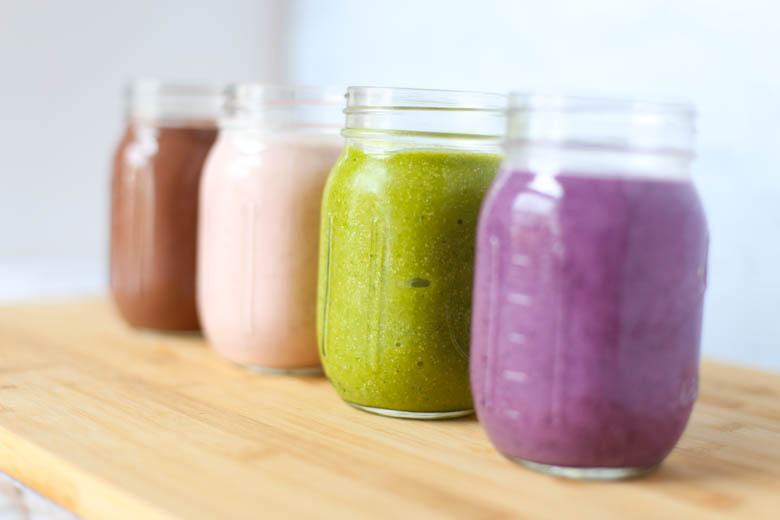 We prefer to make 4 smoothie packs at a time to save time and money. 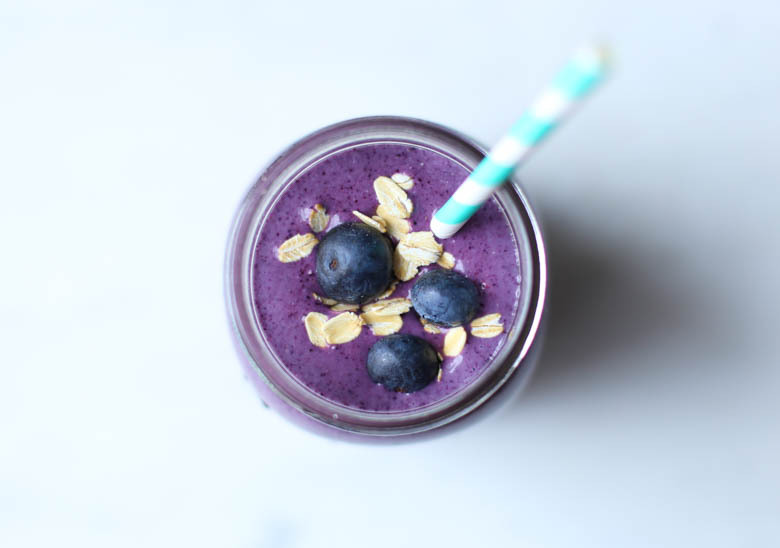 With a high-powered blender like this one or this one on hand, along with a few simple ingredients, your family will enjoy this easy, healthy smoothie for breakfast or a snack anytime.